Actors breaking the laws of physics and imagination knowing no bounds… Materia Prima is almost upon us! Undoubtedly the most captivating event of the festival will be Requiem pour L., a daring play by composer Fabrizio Cassol and director Alain Platel taking on the taboo of death. The spectacle is centred around Mozart’s legendary Requiem, with fourteen musicians intertwining elements of jazz, Fado and African music into the familiar themes and harmonies. We can expect a veritable catharsis! Artists from Gecko theatre tell the story of humankind’s fears and isolation in the contemporary world in Institute whose Kafkaesque atmosphere of oppression is as fascinating as it is terrifying. The unsettling Départ by the Finnish visual theatre/contemporary circus group combines choreography with video projections and stage illusions straight from the 19th century. Puppet theatre features strongly this year. The Merlin Puppet Theatre from Athens presents its Clowns’ Houses filled with terror and mystery. 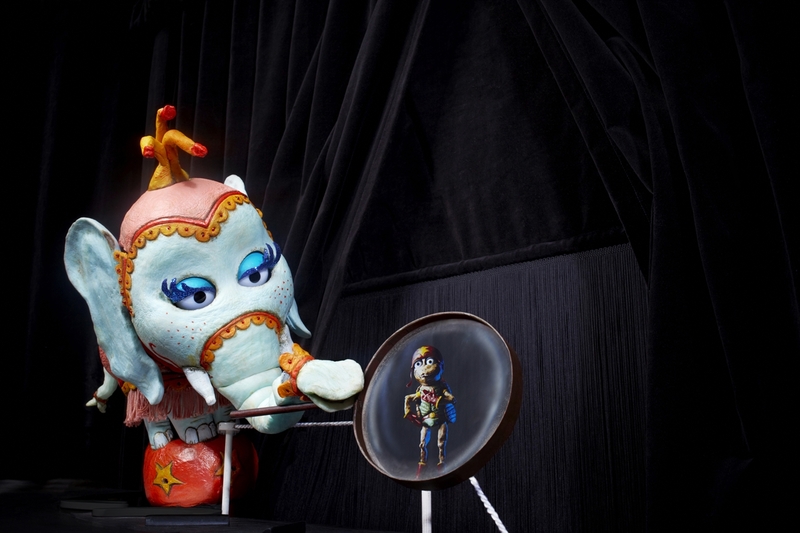 The Sofie Krog Teater shows the enchanting romantic comedy about a charming elephant and her admirer Mister Flea, titled Circus Funestus. The acclaimed puppeteer from Petersburg Viktor Antonov invites the audience to his unusual spectacle Circus on Strings in which he showcases his incredible animation skills. As usual, the festival presents spectacles focusing on dance and movement. We will see the passionate love story Meeting You Was Fateby the husband-and-wife team Julien Derouault and Marie-Claude Pietragalla, icons of French dance and choreography. The National Dance Company Wales presents two one-act plays: the vintage fairytale Folk, and Atalaÿ – a contagious dance influenced by the warmth of the Mediterranean. We will also see the incredible performance by Patricia Guerrero, virtuoso of flamenco from Granada, in the passionate Catedral. Cinema at the theatre? But of course! Jakop Ahlbom reaches for the language of film to take us on a journey to the theatrical stage of silent cinema. 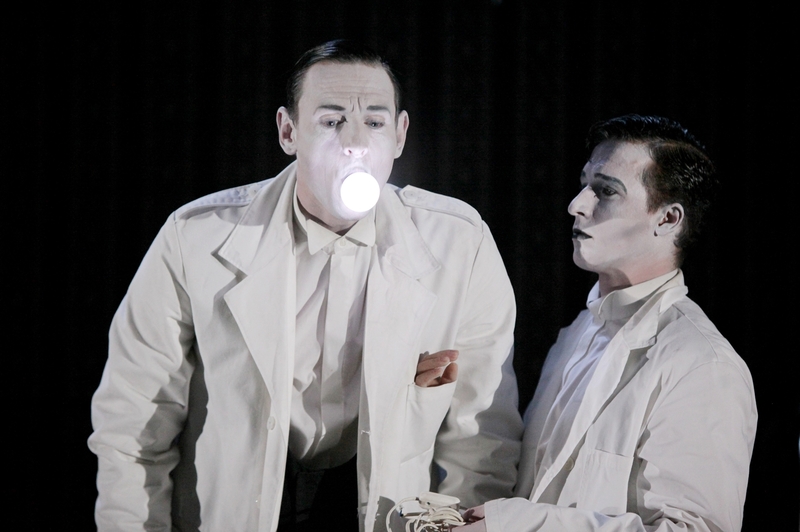 Lebensraum is a performance inspired by Buster Keaton, pioneer of slapstick comedy. What happens when two inventors sharing a small studio flat create a mechanical cleaner resembling a flesh-and-blood woman? Find out for yourselves! 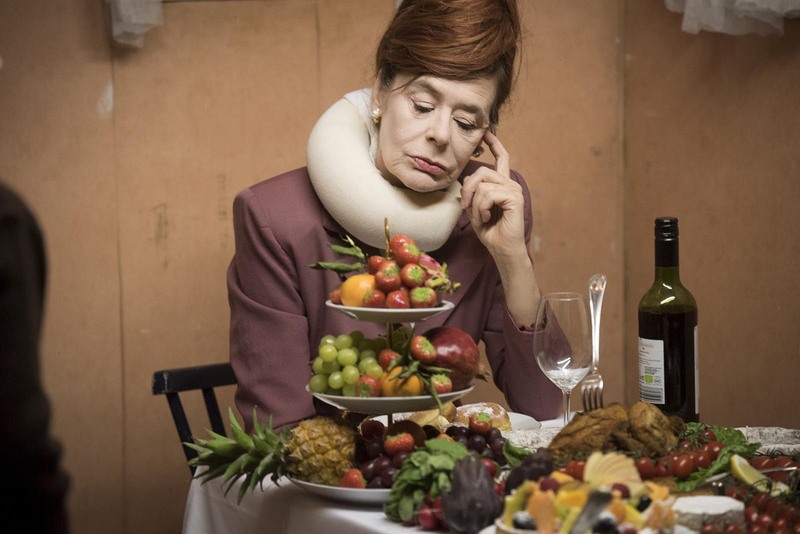 The Belgian theatre collective Toneelhuis/FC Bergman also reaches for cinematic forms of expression. In the wordless, unsettling 300 el x 50 el x 30 el, the artists bring to life inhabitants of a small village gripped by the fear of an impending disaster, with a camera recording everything which happens on stage and delving into the most intimate secrets of each of the protagonists’ lives. One of the highlights will be the performance by the Swiss ensemble of actors and acrobats led by the charismatic Daniele Finzi Pasca, founder of the hugely successful Cirque du Soleil and Cirque Éloize and creator of spectacular ceremonies opening and closing Olympic Games. 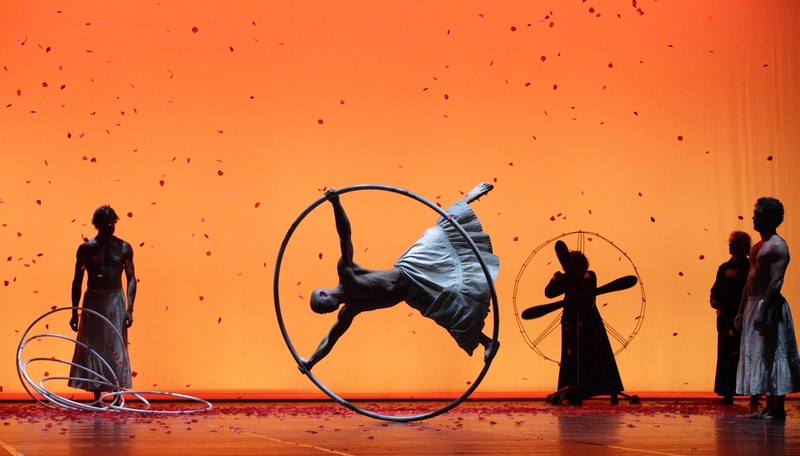 Donka – A Letter to Chekhov is a play spanning the boundaries of dance, circus, music and singing with poetic imagery coming together to form a kaleidoscope of dreamscapes. The homage to the author Anton Chekhov has long been sold out, so we just have to cope that Compagna Finzi Pasca returns to Kraków in two years’ time! 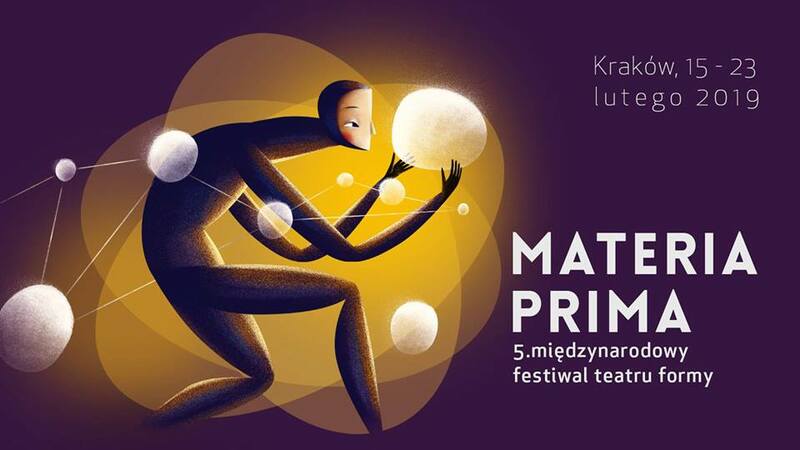 “Our festival is a unique event showcasing the latest trends in theatre of forms and continuing the traditions of Polish plastic theatre and artists such as Tadeusz Kantor and Józef Szajna,” adds Weltschek. Materia Prima goes against the current trends to bring back aesthetic order and present theatre’s beauty in its purest form. All that’s left for us is to absorb it with all our senses!